Cassandra Mamone: Piece of the month! Here at Cassandra Mamone, all of our jewellery comes with its own special story. Each month we hope to share with you the inspiration, love and passion behind each piece. This month we take a look at a very special engagement ring. When Simon wanted to propose to his girlfriend Danielle, he knew exactly who to call to find the perfect engagement ring. Two months before he popped the question, Simon caught up with Cassandra Mamone who helped him pick a 1.51 carat brilliant cut D-colour diamond. Simon proposed to Danielle on Christmas morning. The two lovebirds were taking a walk through North Adelaide and Danielle was power walking ahead while Simon was dawdling behind. Simon called out her name and when Danielle turned around she saw him metres away from her, on one knee. Simon called out for her to help him, and in Danielle’s words “I thought jeez, as if he fell over, he’s walking as slow as a snail!" She went back to see what was wrong and as the bells of the North Adelaide church rang out, Simon asked Danielle to be his wife. 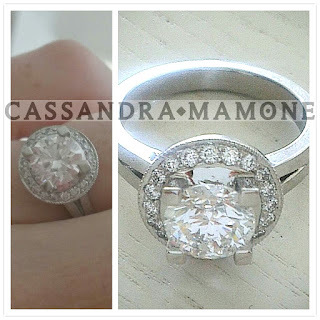 Shortly after that, Cassandra was thrilled to create the perfect ring for her friend of eight years. The final product featured the brilliant diamond set with square claws. 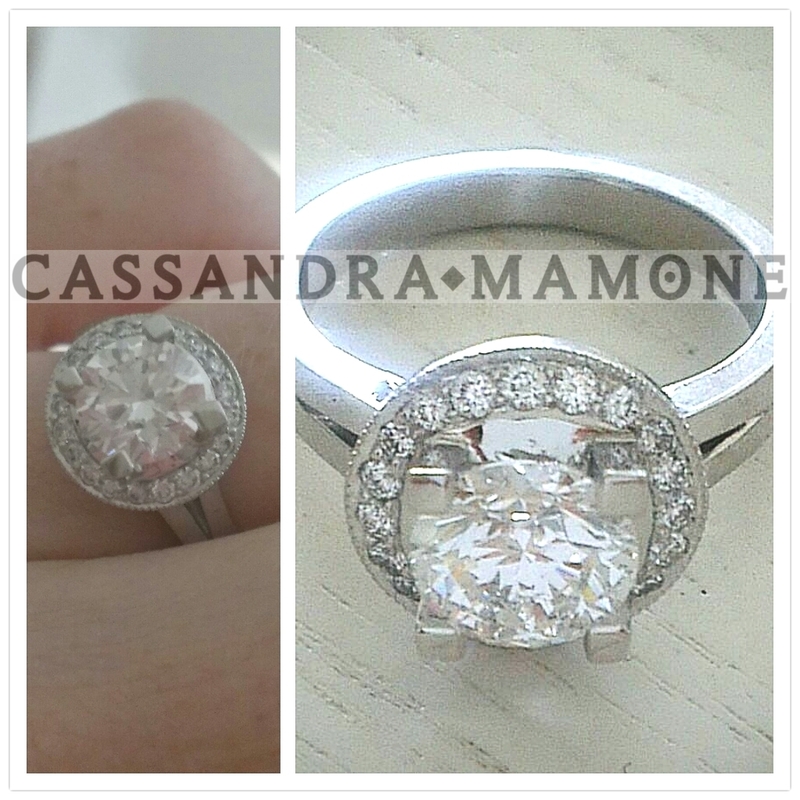 The diamond is surrounded by small pave set brilliants around it, with mill grain edge and split arms, made in Platinum. What do you think of Danielle's gorgeous engagement ring? Do you have your own special engagement story? Let us know in the comments below! Wow that's truly a stunning piece! 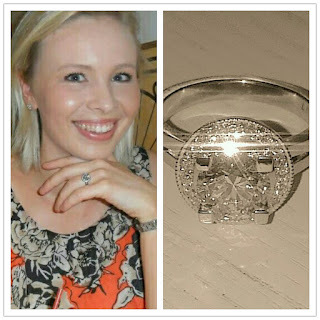 A beautiful ring for a beautiful couple, well done Cassandra!